Our grandson Justus has such an amazing relationship with Jesus Christ. Justus is eight years old and has been a follower of Christ for three years. His heart truly has been captured by the Father. I have often been the student and Justus the teacher since he met Christ. Such was the case after the horrific mass shooting at a high school in Florida. We lived in South Florida for many years. Our children grew up in Ft. Lauderdale. When I heard the newscaster reporting a mass shooting in South Florida, I stopped in my tracks. A teen gunman had opened fire with a semi-automatic rifle at his former high school in Parkland, Florida, killing 17 people and wounding many more. I had to sit down and contemplate such evil. My first response was shock followed by a blinding fury. I tried to pray my way out of the anger that I knew displeased God. It was not a righteous anger. It was a revenge-seeking anger. I was livid as I contemplated how much this troubled young man had stolen from so many. Honestly, I wanted him to pay for all the pain and loss he had inflicted. I was having a hard time making my emotions reconcile with the purity of God’s unconditional and unbiased forgiveness. The same love, grace, and forgiveness that covers my soul is also available to that young man. 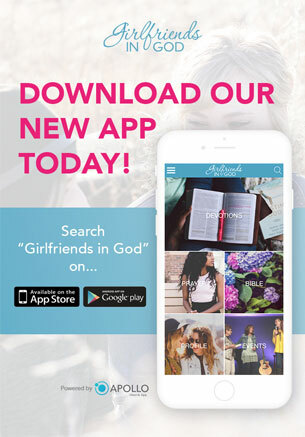 As my heart and mind wrestled with the Holy Spirit, the phone rang. Our daughter said, “Mom, you will not believe the prayer Justus just prayed at dinner.” Justus had seen a short television clip about the murders and was very upset. With tears rolling down his precious face, he asked our daughter, “Mom! Why did he do that? Why did that boy shoot them? I don’t understand why those kids had to die!” Danna sat down and wrapped her arms around Justus, doing her best to explain what she herself did not understand. After a very long and gut-wrenching conversation, Justus went to his room for a while. He told his mom that he just needed some time alone. I could hardly breathe as Danna shared the wisdom and blind faith of our grandson. And I was humbled. My heart broke for this young man – this broken and lost lamb. And I stood up, incensed by the work of Satan. What kind of world do we live in that it has come to this? Children killing children! The Father reminded me of another time and place filled with fear. Jesus “quickly” assured them of His comforting presence and His available power. Evidently, Peter was the only one who really believed Jesus because true faith generates action. Peter was the only one willing to get out of the boat and walk through his fear. I am fairly certain Peter was just as terrified as the other disciples – but Peter chose to take Jesus at His word. When he took that first step, Peter’s fear was swallowed up in faith. No matter what evil we face, no matter how monstrous the storm may be, God is with us. Yes, we have a hope. 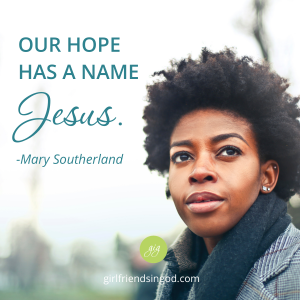 And our hope has a name – Jesus. Father, we come to You in faith. We do not understand so much of what swirls around us in this broken and lost world. But You do not call us to understand. You call us to trust You – for You have overcome this world. Please help me turn to You when I am afraid. 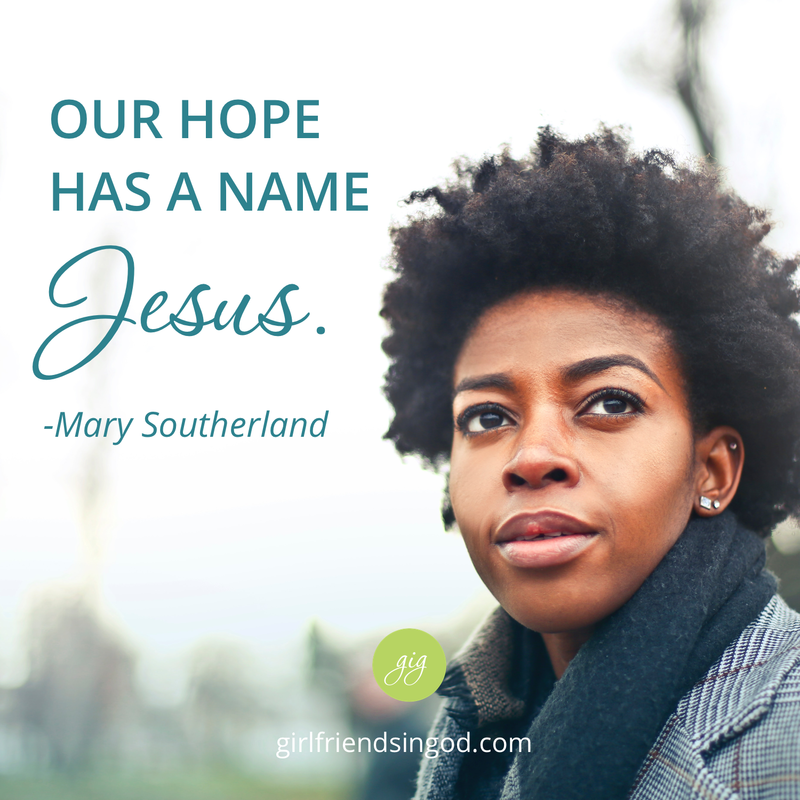 Mary Southerland is no stranger to storms and has learned how to get through them with joy. Mary’s CD, Strength for the Storm, offers fresh insights and strategies for dealing with the tough times. Mary, I remember another shooting that had me just as terrified. In April 1999, I was 4 months pregnant with my one and only child. He’s the one I prayed for and the miracle God gave to me. I remember sitting on the sofa, eyes glued to the television, as the devastating news of a school shooting in Columbine brought such hurt, anger, outrage, sadness, and sorrow to the world. At that moment and many afterwards, I didn’t want to bring my son into the world; but keep him safe within me forever. That, of course, was impossible. I, too, do not understand why these things happen. I don’t understand a hurt so bad in a person that leads them to kill others. I only know that my Savior lives and He is the one in control when the whole world seems to be spinning out of control. Your grandson is, indeed, a great teacher. I’m so glad you shared this with us. It reminds us that we have to be Jesus’ little children and to lean into Him for understanding when we don’t. God knew I needed to hear this. I am facing a different kind of storm at work and sometimes get angry and even fearful. Today I have to deal with some of these issues. Thank you for reminding me that even when I don’t understand why, God is in control! What a profound blessing, the devil was a murderer from the beginning, we need to ourselves and children to let the Holy Spirit control, our tempers, anger, Justus is on the right track. thank you for this today and glad that you have such a wise grandson way beyond his years! needed this today as i keep wrestling around with a fear of how a relative will act when need to talk to them about how they are acting toward a few of my relatives. (has a hard heart/bitterness/unforgiving) i just pray that they have a soften heart and that the holy spirit can guide and work through me…..like another person mentioned bout the columbine shootings (i was 18 when that happened). don’t don’t know why these kids would do such horrid things. (then again we all know who the manipulator/prince of iies is). i just pray for Gods protection over these kids as the school year is coming to a close in few months. have a blessed weekend. What a great message today!! 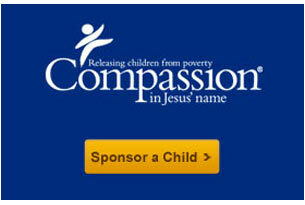 thanks and thanks again for sharing such a faith of a young child. God Bless your family!! Thank you for sharing your grandsons faith and prayer about this most devastating incident. Justus’ prayer brought me to tears… I am a mother of four children and grandmother of eight. I also work in a public school working with children who have special needs and many are troubled. Justus did remind me to pray for the troubled youth and for our leaders. My reaction to these shootings has been anger towards our leaders for allowing such easy laws for young people to attain weapons that can kill so many so quickly. He also reminded me of the sad day when our leaders took prayer out of the schools, and now we have mass shootings. It is so sad. I struggle with this and with the thoughts of what would I do in school if a shooter came, how would I protect my students. I struggle with the possibility of a day when there may be colleagues having to carry a gun to protect us. There are many more troubled children and there a many reasons for this. Yes, I too have clenched fists about this incident but, I will trust God is in control. We must pray for the troubled to come to know him and do our part to show them the way. Pray for our leaders too, they need our prayers. Thank you Mary for your devotionals. Thank you all for your kind words about the prayer Justus prayed. I was so convicted by the love and forgiveness he offered! We all need to join hearts and pray for our children, our teachers and those who make the laws that protect them. I was in the classroom for many years and often wonder how I would have responded. Know you are not alone, friends. Gwen, Sharon and I are with you … praying…believing and longing for the day Jesus comes back to take us home! Thanks for sharing this Mary! It is a simple reminder to me that no storm is too big for Jesus! I am not facing anything major in my life but my day and week is a very busy one and I have been feeling overwhelmed about it. Your devotional reminded me to turn to Jesus with my busyness and trust Him to take all my chaos and make it into something beautiful.